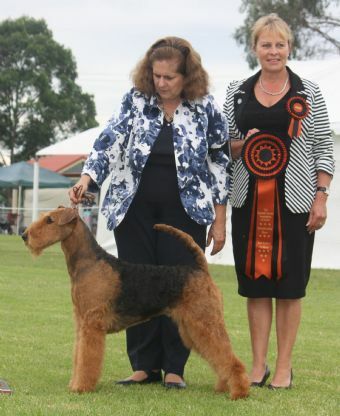 At 17 months Millie won BIS at the 2013 Victorian Airedale Club under Argentinian Airedale Specialist Julio Cristofaro (Fairylands Airedales). Millie was also Runner Up in Show at both Victorian Terrier Group Specialty Shows firstly under UK terrier specialist William Browne-Cole (Travella Wire Fox Terriers) and secondly under ACTU Terrier Specialist Simon Mills (Clayco Smooths, Aussies and Jacks). She has 4 Bests in Group and a Runner Up in Show. At 14 months old Millie won Oldiron's 37th Airedale Specialty in Australia by going BIS at the NSW Airedale Club Championship Show over Easter. The judge was NZ Terrier Specialist Diane Riley. She made it a double in Sydney by taking BoB at Sydney Royal. and completed her Champion Title in only seven shows. She follows her litter sister Ch Oldiron Fire Opal who was the number one Airedale Rising Star in 2012 with two Puppy in Shows. 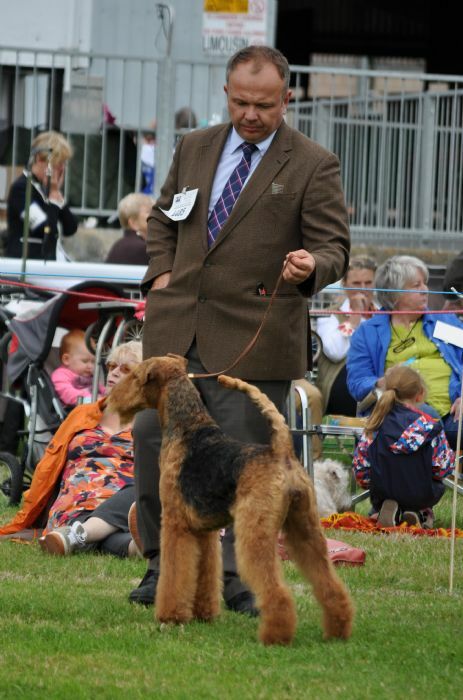 In the UK Millie became the first and only Australian bred Airedale to become an English Champion and the first and only Australian bred Airedale to win a UK Airedale Club Championship Show.